Policing the Oil Policy Series (POPS) is a compilation of policy briefing papers issued by Spaces for Change (S4C) every quarter. It uses the human rights paradigm to police and analyze various developments taking place within the Nigerian oil & gas sector. Within this framework, S4C leverages technology, using crowd-sourcing and pedagogical tools to conduct in-depth researches and analysis of national oil policies and ancillary regulations, evaluating their coherence with global standards and best practices in oil industry operations. Consistent with our primary goal of bridging the knowledge gap in oil policy development and institutional reformation, POPS is one of the numerous vehicles we use to empower citizens and other industry stakeholders to actively participate in the promotion, evaluation and setting of strategic policy directions on specific energy and natural resource governance issues. Our analysis takes a cross-sectoral approach by focusing on decisions and initiatives that specifically address the social, political and legal issues that impede access to energy and environment resources. Volume 1 of POPS comes from our detailed analysis and clarification of several provisions of Nigeria’s latest oil regime, the Petroleum Industry Bill (PIB). 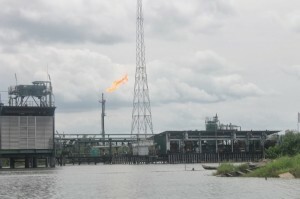 The new oil policy, currently under legislative consideration by the Nigerian parliament, is being driven by the necessity to effect regulatory, commercial, institutional and fiscal reforms in the oil & gas sector. The various policy papers contained in this edition review the semantic pitfalls that complicate citizen engagement and propose amendments to some provisions of the bill that could potentially undermine transparency and accountability in oil sector governance. Building on research findings and recommendations outlined in this report, we will capitalize on our convening and advocacy power to continually engage and remind policymakers, regulators, oil operators and stakeholders in general, what it will take to design and remodel best practices and sustain them. Most importantly, we will continue to work with our partners (civil society, oil producing communities, the media, the Nigerian parliament and international development organizations) to provide resourceful data and share knowledge on new technical solutions, towards the development of a more locally-grounded, rights-based and sustainable national oil policy.